The legal status of the billboards was thrown into doubt last month when an L.A. County Superior Court Judge struck down the 2006 lawsuit settlement that allowed Clear Channel and CBS Outdoor (a division of CBS Corporation) to convert 840 of their conventional billboards to digital. The City Council is scheduled tomorrow to consider a motion by Council President Eric Garcetti directing the building department to comply with the judge’s ruling, and asking the City Attorney not to appeal to a higher court. Viacom/DeCaux now operating as CBS/DeCaux is the company responsible for the “street furniture” around the City… billboards at bus benches, three sided triangular “public amenity kiosks” (PAK’s) that are nothing more than three sided billboard kiosks blocking public sidewalks…They were in the process of plastering Los Angeles in digital billboards before being stopped by the courts. If allowed, CBS would plaster all of Los Angeles with PAK’s, ad covered pillars, electronic billboards and more… That is one of their businesses and they have a great motivation and that is PROFIT at any and all expense. Mr. Moonves, I dare venture, does not have a digital billboard beaming into his family’s Brentwood home and likely would not have liked it if he had. His job is to bring forth a bottom line for his boss, Sumner Redstone, who also likely does not have an electronic/digital billboard beaming into his home. Nor, is it likely that they have a half dozen such signs in walking distance from their front doors, either. If CBS wants to threaten to take all their marbles and relocate their studio facilities elsewhere because the City of Los Angeles is at long last enforcing the sign ordinance that has been on the books since 2002, then perhaps we should all offer them help gathering moving boxes. Yes, we want the jobs here; yes, there have been and will be opportunities for public and private partnerships and complementary future ventures. However, the past working relationship, the current investments and future potential developments should not be used as a leverage over the City to allow CBS and other outdoor advertisers to continue to bully Los Angeles into comprising its responsibility to regulate outdoor advertising. If the deal Mr. Moonves is offering is one of “my way or the highway” then perhaps the Mayor should call his bluff. Or better yet, perhaps he could explain to them that the billboard settlements that were secretly negotiated (and most likely written all or in part by the outside advertising industry’s OWN lawyers)weren’t such a good idea since the City gave away powers that it could not grant through the settlement. That it gave unfair business advantage to some companies over others. That it illegally ignored existing City ordinances, unempowered entire neighborhoods, and would have brought unending blight on our neighborhoods… to say nothing about DIMINISHING the property values of homes, condominiums and apartment buildings across the city which would result in takings of property values and a diminishing of property tax rolls. That settlement was rightfully thrown out by the courts. And, this should not come as any surprise to anyone in the outside ad business with a brain and particularly to those who have hired many legal brains to try to paralyze this city with litigation each and every time the city has attempted to reign in the out-of-control outdoor advertisers. 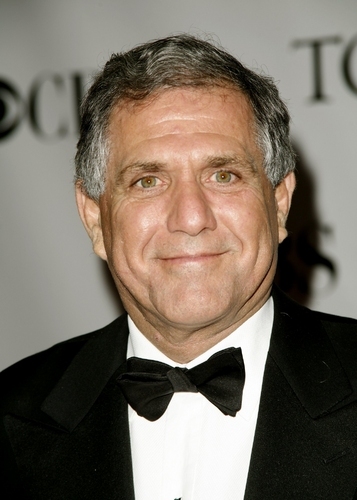 I don’t think Mr. Moonves will find many sympathetic Angelenos on this one. Mr. Mayor, please represent the City and its best interests, not CBS’s.